All fruits and vegetables need to be brushed lightly with a neutral-flavoured oil before grilling, as this prevents sticking. Some people prefer to oil their grill, which also works. Vegetables should be seasoned with salt and pepper, while fruits can benefit from a light sprinkling of sugar or a tiny pinch of salt. 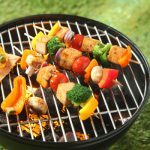 You might need to use a grill basket or foil packet if the produce you’re grilling is small enough to fall through the grate of your barbecue pit. 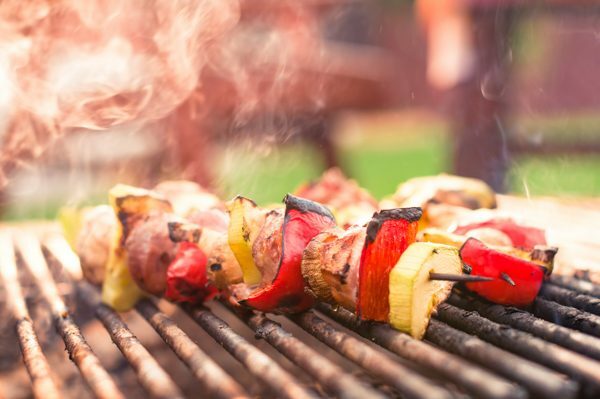 You can also thread the produce onto wooden skewers for easy grilling, just be sure to soak the skewers in water first to prevent them from igniting. Grill your fruits and vegetables over medium heat until they are cooked to your desired level. Most produce is best when lightly browned and tender-crisp, however the cooking time does range depending on the density of the item.